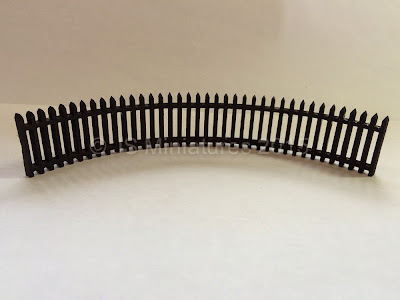 Following on from the launch of my landscaping materials last week I thought I'd do a quick tutorial on how easy it is to bend it to create curved fencing. 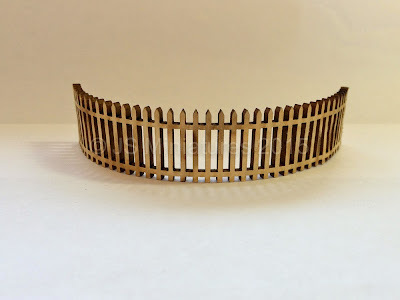 If you want to create that unique look not possible with standard plastic or wood fencing then this is the tutorial for you! 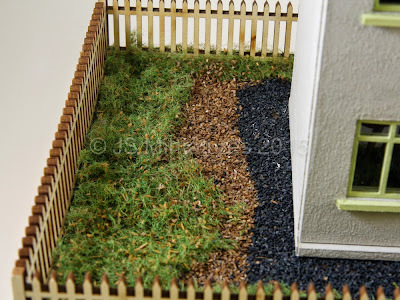 The wood pulp board used for the fencing is a very versatile and unique product. It doesn't separate into layers like matt board or cardboard and comes in various thicknesses. 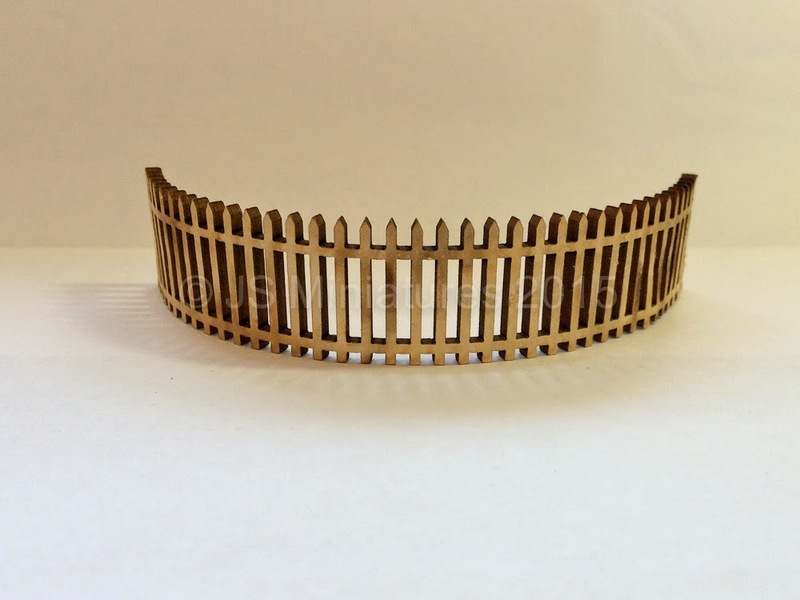 It's also suitable for laser cutting meaning it's easy to create intricate designs that don't break the bank. One of the killer features of this board is it's ability to be curved and then retain that curve once dry. 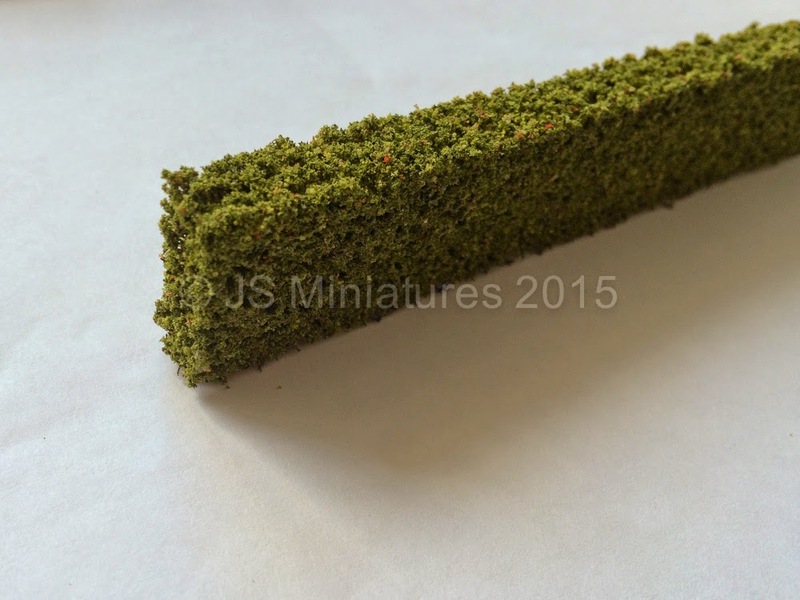 I've already used it successfully on a previous collaboration with Quernus Crafts for Christmas. Step 1: Find a suitable sized container that has the right sized diameter for the curve you want to make. 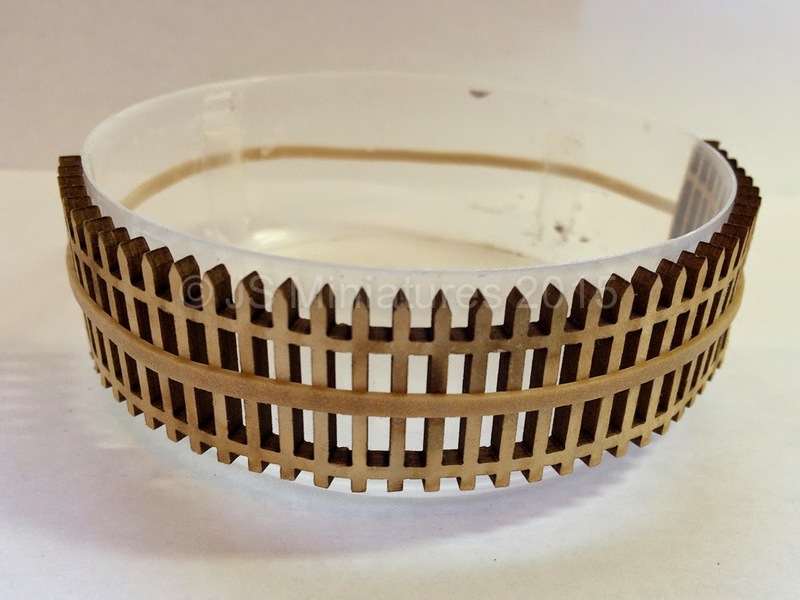 Step 2: Take your piece of fencing and using your fingers, dampen both sides with water. It shouldn't be dripping, don't run it under the tap, just enough to dampen the surface. Shake off any excess. Step 3: Starting at one end, carefully bend the fence around the container, working your way around and then hold in place with an elastic band. I used the top off a ear bud tub that I use for holding paint etc. Step 4: Set aside and leave to dry. Should only take an hour. 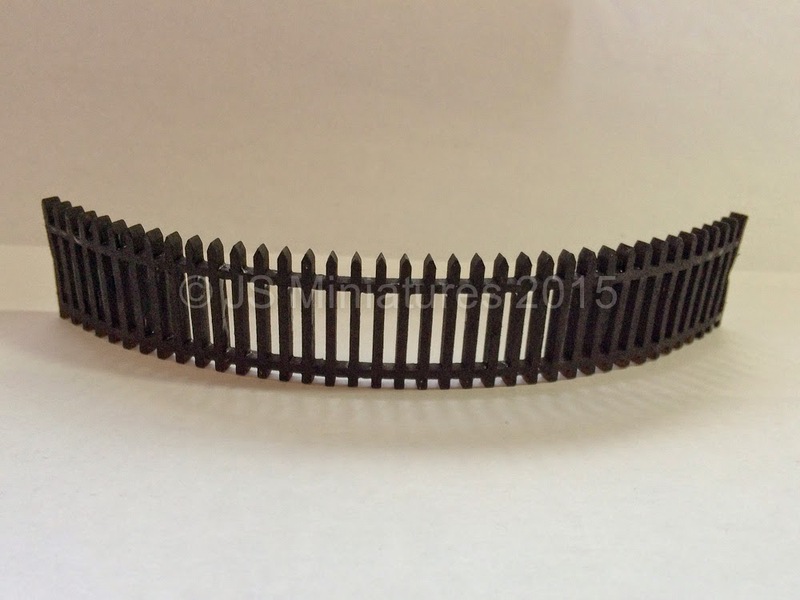 Step 5: Take off the elastic band and you should have a curved fence. 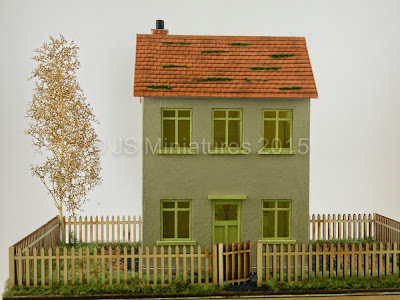 Step 6: Paint in the colour of your choice. 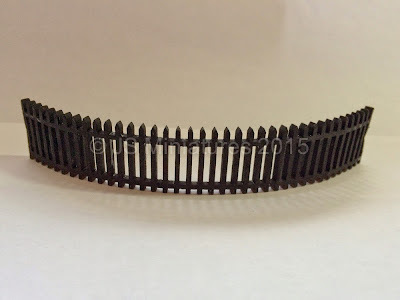 I used Decoart Crafters Acrylic and one coat of black was enough. White may need 2 coats. You can leave it natural or stain for a wood effect if you wish. Step 7: Glue in position using PVA glue. Wood glue or tacky glue are best. 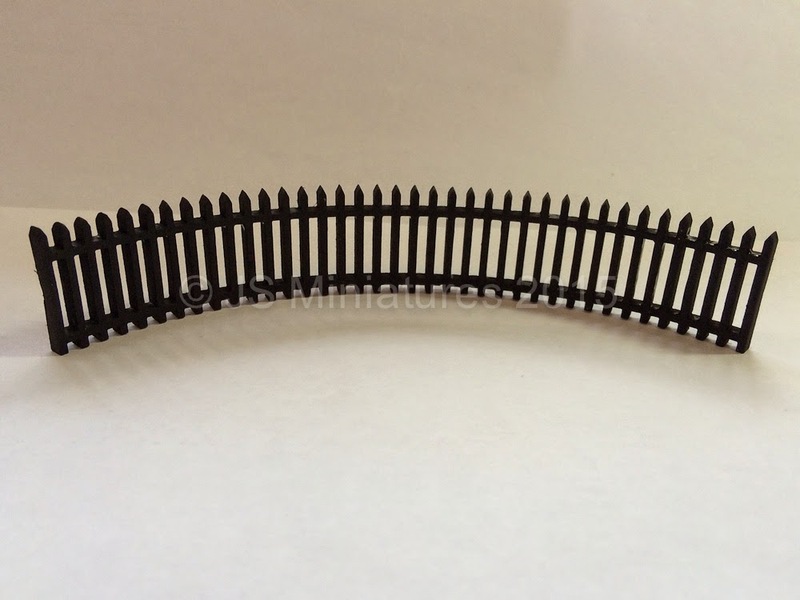 There is flexibility in the fence so you can tweak the curve a little if you need to. Fence posts and a gate are provided so panels can be joined together at corners.